They are the best, the brightest and poorest students in the city. 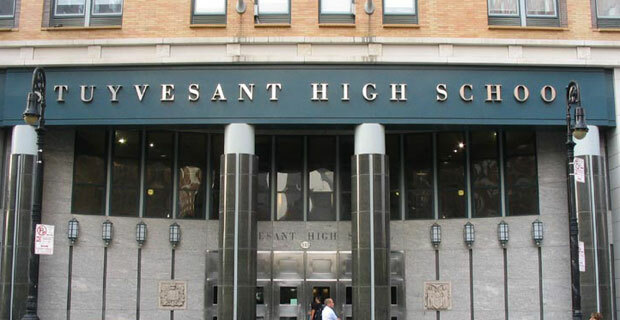 Contrary to the overwhelming belief that kids who make it to Stuyvesant High School are often thought of as coming from families with a leg up in class and ability to pay for preparation for The Specialized High Schools Admissions Test, the federal government believes otherwise. An overwhelming population of students are receiving free or reduced lunches at the school, qualifying Stuyvesant as a high poverty school, prompting Title I funding from the federal government. In a recent campaign to properly identify the students at need, parents have counted the declining economy and students from new immigrant families at the school, are some of the reasons for the increase of impoverished students at Stuyvesant. A count of students at the poverty level in 2006 accounted for only 17%, where as in 2009, nearly 40% of the entire school were considered at the poverty level. The federal aid will provide nearly $1.6 million, which accounts for 10% of the high school’s total operating budget. For alumni or those who would like to donate tax deductible donations for student groups and resources can visit the Stuyvesant High School Alumni Association website.